Nigeria Immigration Regulations for Foreign Investors and Offshore Companies - Law Firm in Nigeria - Lawyers in Nigeria. The Nigeria immigration Service Visa on Arrival program is available to frequently traveled business persons of international repute; executives of multi-national companies; members of government delegations; holders of United Nations, African Union, or ECOWAS laissez passers; holders of any other official travel documents of other recognized international organizations who intend to visit Nigeria, and who require visa to visit Nigeria but may not be able to obtain visa at the Nigerian Missions/Embassies in their countries of residence due to the absence of a Nigerian mission in those countries or exigencies of urgent business travels. To apply for VoA, you need a Visa on Arrival Approval Letter. There are two methods to obtaining VoA Approval Letter. You may apply through email or through your representative in Nigeria. The applicant or his representative will send an application by email to the Comptroller General of Immigration at oa@nigeriaimmigration.gov.ng; furnishing the following details: name of applicant, nationality of applicant, passport number of applicant, purpose of visit, proposed date of visit, proposed port of entry, flight itinerary, address in Nigeria or hotel reservation. The following documents need to accompany the application: copy of passport data page and copy of airline return ticket reservation. The Applicant’s representative (business partners, company representative, protocol/liaison officer, etc.) may file a formal request for Visa on Arrival Approval on the applicant’s behalf by sending an application to the Comptroller General of Immigration, providing the following details: name of applicant, nationality of applicant, passport number of the applicant, purpose of visit, proposed date of visit, proposed port of entry, proposed airline, flight itinerary, address in Nigeria, email address of the visitor, Acceptance of Immigration Responsibility. The following documents should be annexed to the application: copy of passport data page of the applicant and copy of airline return ticket reservation. Payment for Nigeria immigration Visa fees must be made online via the NIS website at www.immigration.gov.ng. Successful online payment is not an approval. Applicant must receive ‘Visa on Arrival Approval Letter’ before proceeding to Nigeria. The timeline for the processing of application and issuance of approval letter is 48 hours (2 working days). Visa Approval Letter (Pre-approved visa letter) is valid for 14 days from the date of issuance. Applicant shall upon arrival at the Port of Entry, proceed to the desk marked ‘Visa on Arrival’ for issuance of entry Visa. 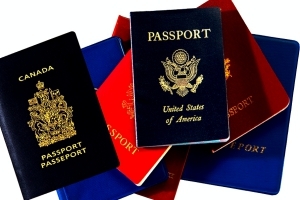 As per Nigeria immigration regulations, Business Visa is available to foreign travelers who wish to visit Nigeria for the purpose of meeting, conference, seminar, contract negotiation, marketing, sales, purchase distribution of Nigerian goods, trade fairs, job interviews, training of Nigerians (humanitarian services), emergency/relief work, crew members, staff of NGOs, staff of INGOs, researchers, musical concerts. 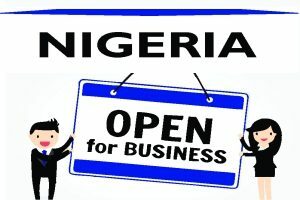 Application for a business visa is made online via the website of the Nigeria Immigration Service at www.immigration.gov.ng . Completed forms are to be submitted to the Embassy/High Commission/Consulate of Nigeria or at designated Visa Application Centre. An applicant may be invited for interview if necessary. Timeline for approval is 2 – 3 working days from receipt of application. The validity of stay with business visa is 90 days (not extendable) and cannot be used to gain employment. STR VISA is available to expatriate employees of companies and their dependents, expatriate technical officials of missions, foreign students, missionaries/clerics and their dependents, research fellows, expatriate staff of non-governmental organizations (NGOs) and their dependents, expatriate staff of international non-governmental organizations (INGOs) and their dependents, government officials and their dependents, expatriates employed by companies operating in free zones and their dependants expatriates employed by individuals, corporate bodies or governments (i.e. to take up employment in Nigeria). · Evidence of online payment for visa fee. Expatriates of companies operating in the free zones, foreign students, expatriate technical officials of missions, expatriates of international non-governmental organizations (INGOs) and government officials are exempted from Expatriate Quota Approval. · Birth certificate for children confirming nexus. Application for Subject to Regularization Visa may be made online using form IMM22 with payment of appropriate fees via www.immigration.gov.ng. The printed documents are to be submitted to the Embassy/High Commission/Consulate of Nigeria where applicant is resident, or at designated Visa Application Centre (where applicable). Successful online payment is however, not an Approval for STR. Timeline for the approval of application is maximum of seven (7) days from receipt of application. · Obtainable only from the office of the Comptroller General of Immigration in the Nigeria Immigration Service. Application for Temporary Work Permit is made to Comptroller General of Immigration by a corporate body in Nigeria on behalf of the applicant. The details of the applicant are to be furnished. The application shall be attached to the following documents: company profile, Certificate of Incorporation, Form CAC 2 & 7 (showing the company’s share capital not less than N10 million), copy of data page of the expatriate’s passport, evidence of existing contract or purchase/importation of machinery or equipment, any other relevant document. Application for TWP can be submitted via email at oa@nigeriaimmigration.gov.ng or at the Mission receiving the application, payment of visa fee is applicable via www.immigration.gov.ng. Timeline for CGI’s approval is maximum of two (2) working days from receipt of application. The validity of stay with TWP is 90 days. As part of Nigeria Immigration regulations, foreign investors and offshore companies doing business or looking to establish in Nigeria must obtain Business Permit and Expatriate Quota from the Minister of Interior. Immigrant workers do not require work permits, but they remain subject to needs quota of their employer company requiring them to obtain residence permits that allow salary remittances abroad. Lex Artifex, LLP. can assist overseas investors and foreign companies to obtain Business Permit or Expatriate Quota from the Nigeria Immigration Service. Expatriate personnel do not require work permits, but they remain subject to needs quota of their employer company requiring them to obtain residence permits that would allow income remittances abroad. Business Permit is an authorization for the operation of a business with foreign capital either as a parent company or a subsidiary of a foreign company. Expatriate Quota is an authorization to a company to employ individual expatriates to specifically approved job designations, and also specifying the permissible duration of such employment. The expatriate quota forms the basis of work permits for expatriate individuals (those qualifications must fulfill the criteria established for the particular quota position). ECOWAS Nationals have a right of entry into Nigeria for a ninety (90) day validity period, and must register with the Nigeria Immigration Service and be issued Residence Card to be eligible to do business or work in Nigeria. There are two types of visas which may be granted, depending on the length of stay. For short-term assignments, an employer must apply for and receive a temporary work permit, allowing the employee to carry out some specific tasks. The temporary work permit is a single-entry visa, and expires after 90 days. There are no numerical limitations on short-term visas, and foreign nationals who meet the conditions for grant of a visa may apply for as many short-term visas as required. This information is intended to assist you in getting a summary of the Nigeria immigration regulations for business people and foreign companies wanting to establish in Nigeria. This general information does not eliminate the need for professional advice and must not be construed as a substitute for specific legal guidance. Whether you are doing business, working, or looking to locate in Nigeria as a foreign investor, overseas merchant or an immigrant worker, it is important you seek legal guidance from an immigration lawyer concerning your immigration needs and compliance. Lex Artifex, LLP. can assist you. To get started, call us at +2348187019206, +2348039795959 | Email: lexartifexllp@lexartifexllp.com | Website: www.lexartifexllp.com. The permission given to freely copy this article is only on the condition that LEX ARTIFEX LLP is referenced and duly acknowledged as the Author using the following format: “This article was written by Lex Artifex LLP’s Trade & Investment Advisory Group. View the original article at http://lexartifexllp.com/nigeria-immigration/”. Note that any copyright infringement shall be punishable under applicable law.